We spent 5 days enjoying an RV Rally with other Discovery Coaches. The park was super in handling the reservations and supplying the meeting area for our meals. I highly recommend this park for group rallies. We were able to have some wineries come to us for tastings. Be sure to check out Chuckar Cherries while you are in town. Wine Country RV is by far my absolute favorite park! I stay here multiple times every year. 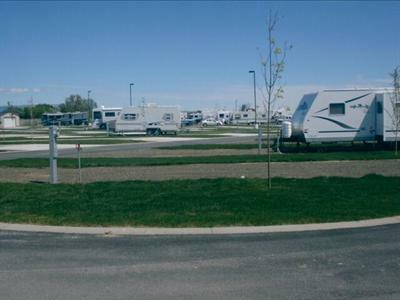 It is a clean, well maintained, pet friendly park with friendly and helpful staff! The location is in walking distance of several wine tasting rooms and restaurants. This was our first visit and it was great, nice clean facilities, staff were very friendly and helpful. Fun activities such as the pizza truck coming in on Friday night. The wine tasting in the early evenings. Close to highway but you didn't hear much of it. Close enough in that you can do interesting things beside shopping if you forgot something. Went to Chukar Cherries, some of our group did some of the wineries and enjoyed them. Thanks so much! Did a look-see the Sun. before our arrival. Liked what we saw. Showed up Fri. evening for our two night stay. Was pleased with the staff. Got out spot and set up Water, Elect., TV and Black Water hook up. Sites were clean. Will be back. This place is very noisy right on I-82. The grass on the sites was in poor condition. And the worst part was charging 25 cents for a shower after charging $50/day for the site. I would not stay there again if there was another place to stay. Have wanted to visit Wine Country RV after picking up info at an RV show. Have been receiving and teased by their emails for over 2 years and finally made it. We were attending an Expo near by. Good location. A little noisy at night as it is just off the freeway. Think we will book further back in the park next time. Very friendly and helpful staff. Enjoyed the wine tasting on Friday & Saturday evenings and the woodfire pizza truck that was there on Friday night. We are looking forward to stopping at Wine Country again. 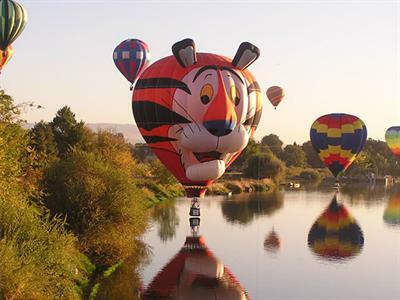 Have even put our name in for reservations for the balloon festival in 2021. We can’t say enough about this park, the staff are all so very nice and helpful, and the grounds are well taken care of. Each site has ample room to maneuver your rig into it. The park offers many side incentives such as wine tasting in the main office area that is hosted by a different local winery each night. Louann and her staff are always ready to help make your visit a great experience. We go there two times a year. If you have any issues or problems, they are quick to react. This is a great dog friendly park. Our guy Jasper loved it here. What's not to love? Easily navigable, concrete pads, reasonably quiet (some road noise noticeable when outside), nice neighbors, wonderful staff, etc... The evening wine tasting events were well done and well attended. The woodfire pizza truck one evening was a nice surprise too. If you are in the area, this is the place to stay. We have stayed here 3 times over the last 3 years and have never been disappointed. Staff is so friendly and helpful. 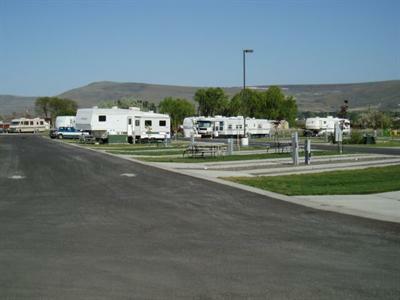 The park and facilities are always clean and we feel very safe staying there. The only issue was the WiFi which was a little slow, but not a big deal if you are out and about! I recommend staying at this park whole-heartedly. Wine tastings offered in the Lobby by Local Wineries a real Plus. It gives you a chance to visit with other campers. The Staff is super friendly and helpful. We stay there ever year.